Adopting soft polyester fiber, the pillow gives a comfortable touch. 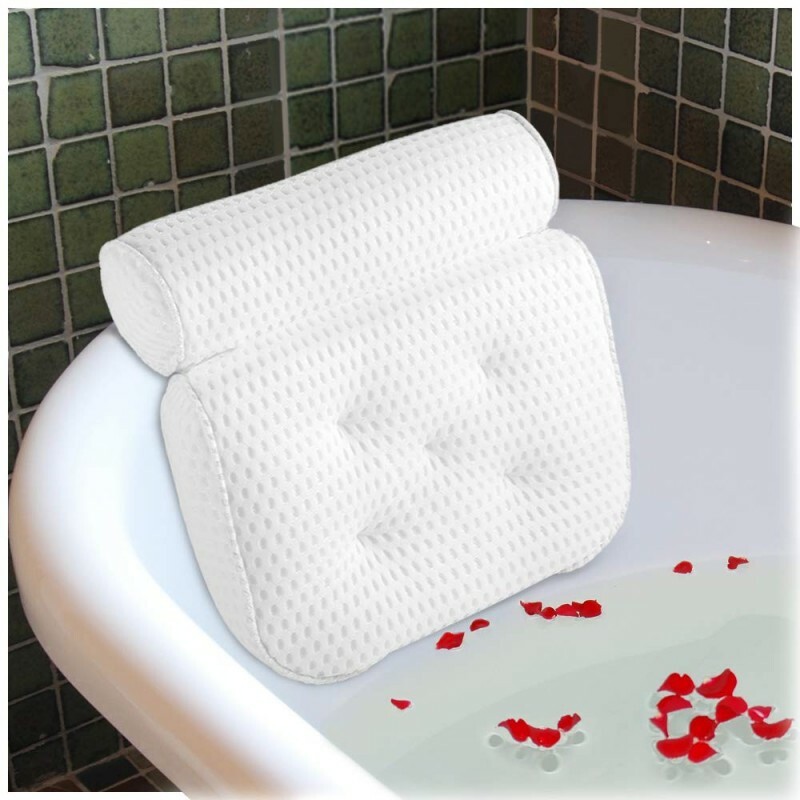 The big size of 36 × 38 × 10 cm / 14.2 × 15 × 3.9 in, 10 cm / 3.9 in thick stuffing and the ergonomic support are specifically designed to fit your head, neck and shoulders, and help you relieve the tension and truly relax while bathing. 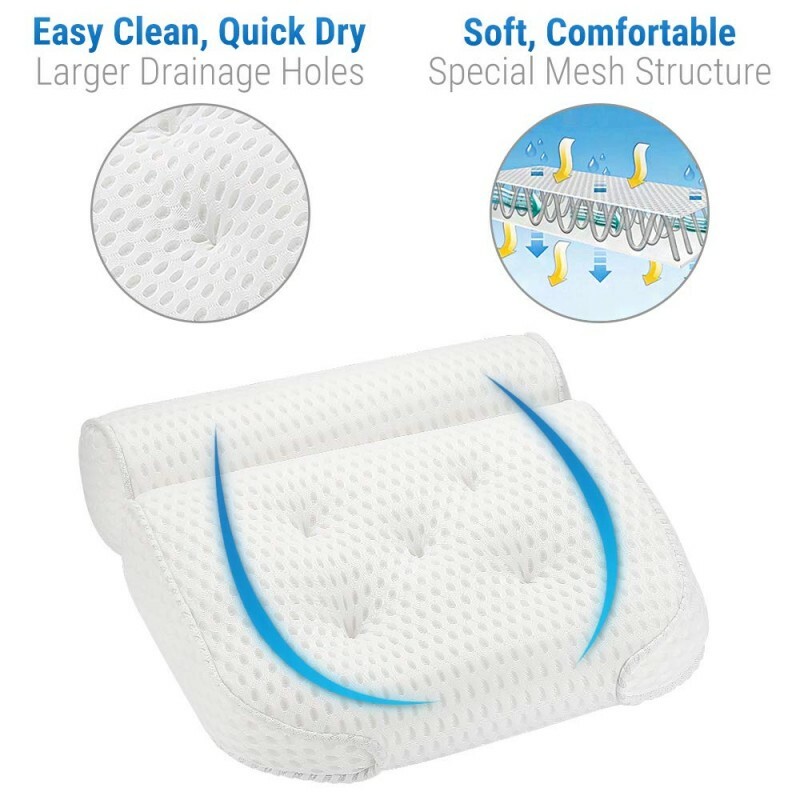 3D coarse mesh inner structure enables water and air to flow through, so the pillow is more breathable, resistant to mildew and easier to dry. 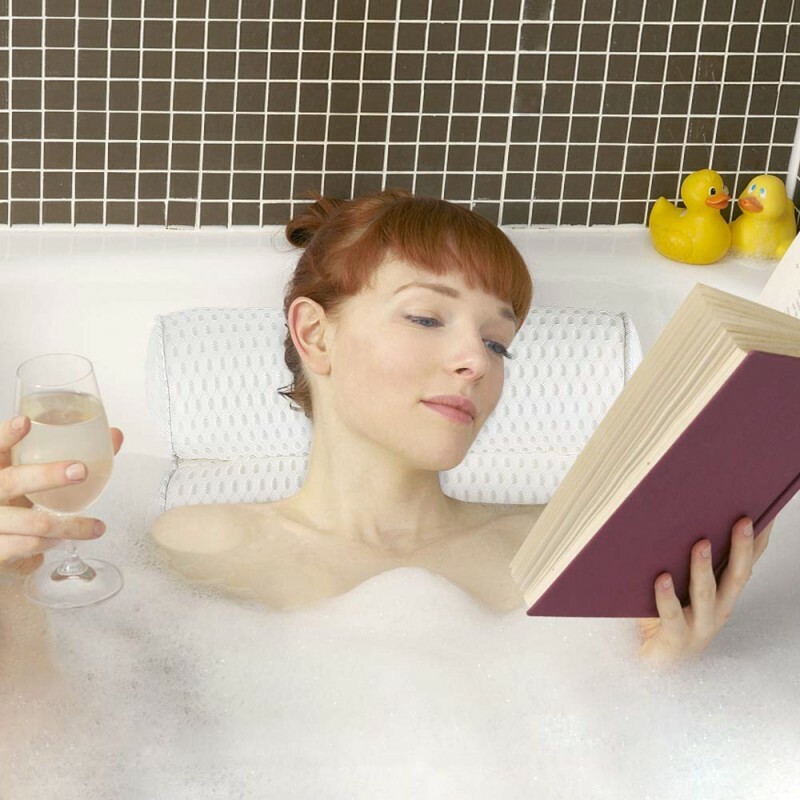 Machine wash is not allowed, but you can easily rinse the soap residue off. 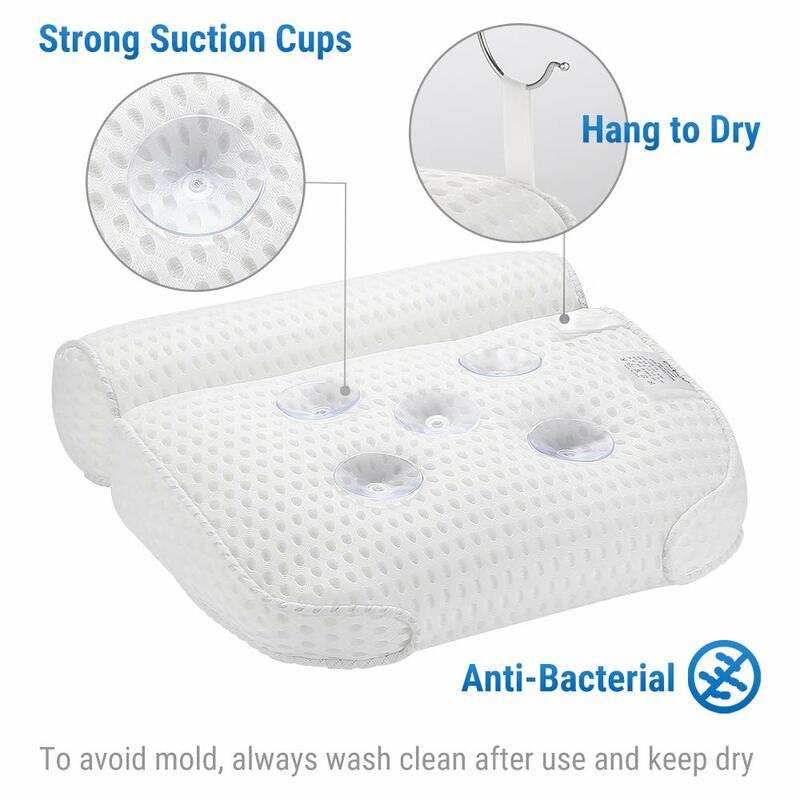 While the hanging strap enables you to hang it to dry quickly between baths. 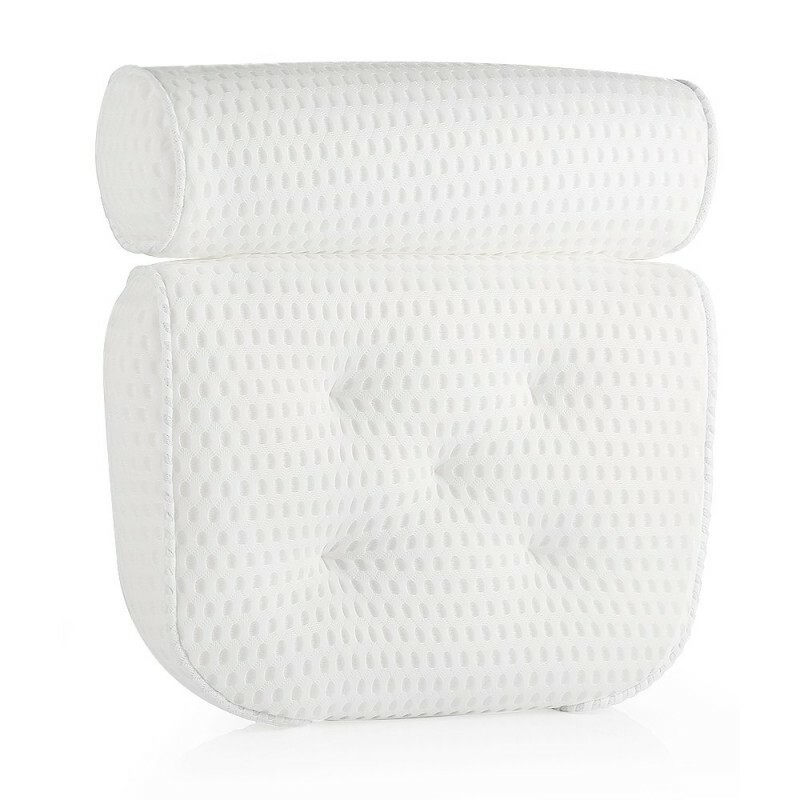 5 strong suction cups help to hold your pillow in place, solid and tight. And it's detachable to be repositioned for different heights for families. 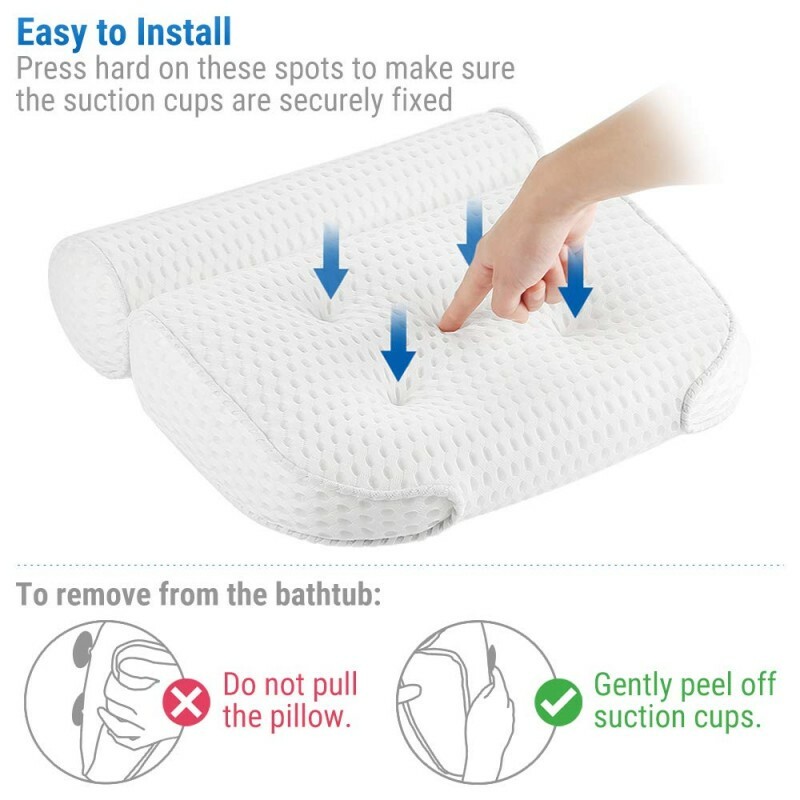 For install tips, please see picture 5.